After I posted “Is Double Pits To Chesty Ryan Schekler's Best Move... “ on July 22nd, I received a lot of comments, most of them directly went to my email. Are you surprised if I tell you that 90% of the comments say that I am wrong by saying Ryan Scheckler’s marketing strategy is good for the skate in general? I am happy to hear what people have to say and I take note and see that my readers are on the side of Thrasher: Ryan Schekler is a sellout! The title of the post does not have the word “controversy” in vain. The ad debuts on August 12 in Sports Illustrated. He is not the first one to do so: Tony Hawk did the same thing 10 years ago (Read the blog here). 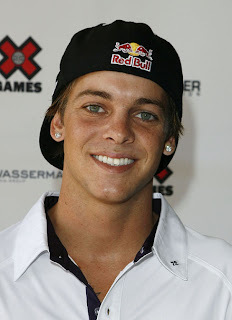 But that’s not all: Ryan also signed with Wicked Fashions, the owner of brands like SouthPole, who tapped Sheckler for its celebrity line because his many young followers will significantly impact sales and because “he has a lot of potential,” said Welles . The new line, “RS by Sheckler”, will include t-shirts, jeans, hooded sweatshirts and other apparel for boys and young men ages 12-24 and will be available at retail stores nationwide like JC Penney. Who has got out of touch with the reality? The handsome world champion that is leading the sport in a new direction or the core followers that still think that we are living in a “Skate & Destroy” subculture? No offense to the “Skate & Destroy” core followers but the skate is changing, and fast!. Every time I go to a skatepark, I see busload of “skater” moms unloading their hordes (I even complain all the times on FB –because … I can’t …skate), I even see smiling fathers skating with their kids and I see less and less rags and more and more kids wearing pads and helmets. And believe me; I go very often to skateparks. So, is Ryan Schekler a sellout, or is he leading the change? That controversy has not stopped yet…Your turn to leave a message.